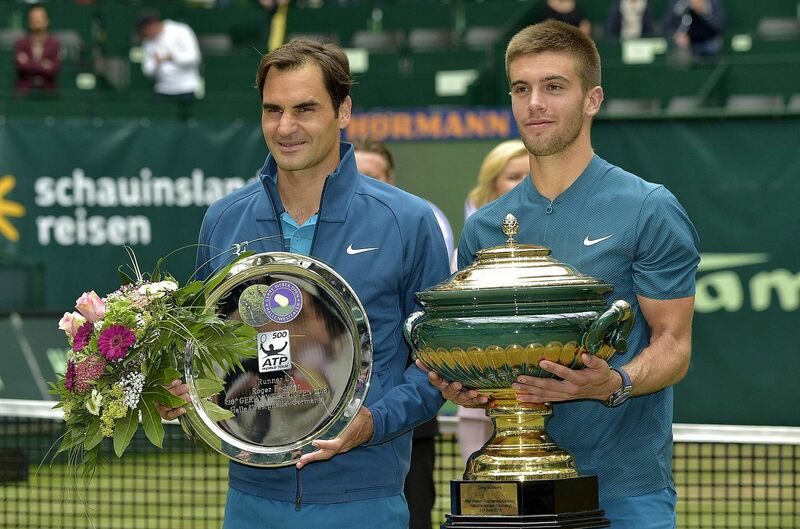 Borna Coric ended Roger Federer's 20-match winning streak on grass, beating him 7-6 (6), 3-6, 6-2 in the Halle Open final on Sunday while also bringing to a halt the Swiss maestro's reign as world number one. Federer was denied a 10th title in the German grasscourt tournament as Croatian Coric handed the 36-year-old his first setback on an otherwise serene road towards defending his Wimbledon title. The defeat meant that Rafael Nadal will return to the top of the world rankings on Monday. “I actually thought I played maybe my best match of the week today. It just didn’t go my way. So, it’s a bit unfortunate there. But I’m definitely going to leave with my head high, thinking it’s been a good run in Stuttgart and Halle,” said Federer, who fell to 9-3 in Halle finals. With both players holding serve comfortably throughout the first set, Federer was the first to earn a break point opportunity at 5-5. The Swiss earned himself an great chance at a cross-court forehand passing shot to serve for the set, but, crucially, the ball clipped the tape before Coric eventually held serve. Once again, Federer manufactured chances in the tie-break, earning two set points at 6/4, before Coric responded emphatically with forehand aggression to reel off four straight points. “I think the key maybe in hindsight was trying to win that first-set tie-break. I had more chances throughout the set, I had chances at 6/4,” said Federer. As was the case in the first set, Federer made the first move in the second set. The nine-time champion took advantage of a series of errors from Coric to earn break points at 4-3 and broke through in fortunate fashion as Coric dumped a forehand volley into the net. Federer then held serve to love to force a decider. The final set started competitively, with Coric and Federer holding their opening two service games. But, from that point, Coric took charge. 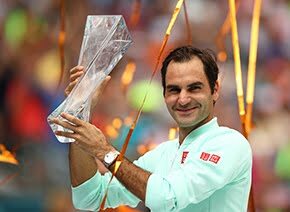 The Croatian stepped up his aggression on both groundstrokes to secure a 4-2 lead before breaking once more, two games later, to clinch the biggest title of his career. 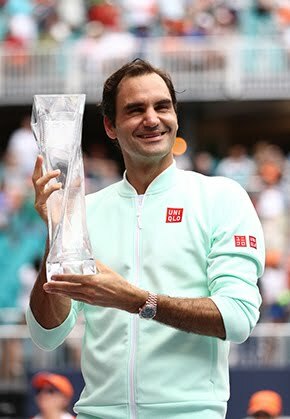 But Federer is proud of his grass-court season so far, including his title run at last week's Mercedes Cup in Stuttgart. The Swiss has 98 tour-level titles - 18 on grass - and will next compete at Wimbledon, which begins 2 July. The eight-time champion owns a 91-11 record at SW19. The Swiss great remains two match wins away from matching Jimmy Connors' all-time record of 174 victories on grass.